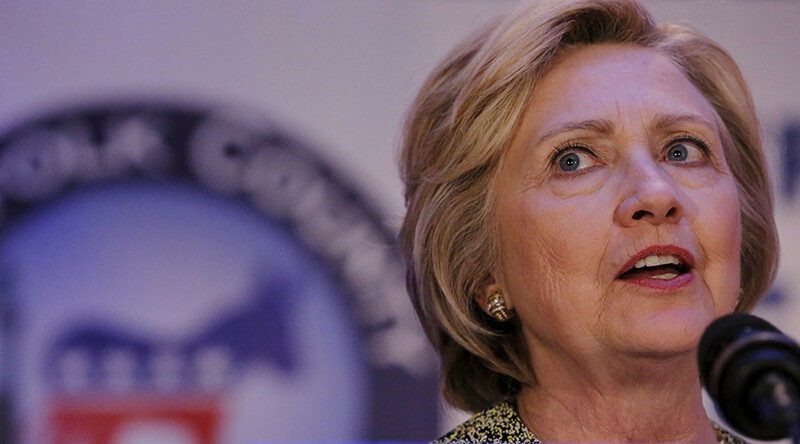 A Hacker calling himself “Guccifer 2.0,” who claimed responsibility for previous breaches of the Democratic National Committee and the congressional Democrats, published the documents on Tuesday afternoon ahead of the vice-presidential debates. 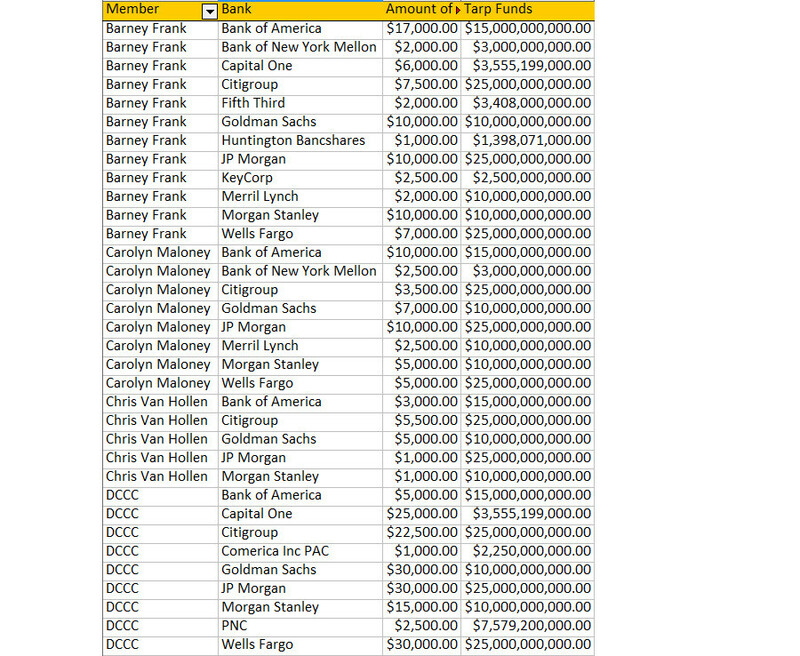 Guccifer 2.0 also claimed that one of the documents shows that big banks are donating a percentage of funds received through the government’s Troubled Asset Relief Program to the DNC, citing a spreadsheet that lists the TARP amounts next to the amounts donated to lawmakers like then-Representative Barney Frank (D-Massachusetts), co-author of the Dodd-Frank Wall Street Reform and Consumer Protection Act of 2010. “It looks like big banks and corporations agreed to donate to the Democrats a certain percentage of the allocated TARP funds,” he wrote. 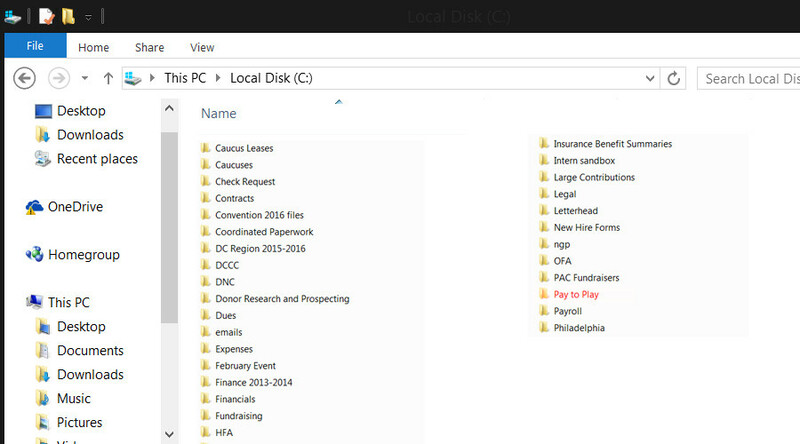 Another document posted on the blog appears to be a master list of Clinton Foundation donors in the western US, allegedly tracking contributions from 2009 to 2015. Among the names are movie directors JJ Abrams and Gore Verbinski; Salesforce CEO Marc Benioff; Google CEO Eric Schmidt; Walt Disney Co. President and CEO Robert Iger; Microsoft founder Bill Gates; Microsoft VP Steve Ballmer; and major Hollywood stars like Barbra Streisand, James Brolin, and Tom Hanks. While the authenticity of documents shared by Guccifer 2.0 could not be verified, some of the leaks stand up to scrutiny. Taking his moniker from recently jailed Romanian hacker Guccifer, Guccifer 2.0 has been releasing hacked papers since mid-July. He previously released documents purloined from the DNC and the Democratic Congressional Campaign Committee (DCCC), exposing alleged bias towards Clinton, railroading Senator Senders as well as sensitive financial data. The files revealed that the DNC ‘rewarded’ campaign donors and fund-raisers among high profile officials. 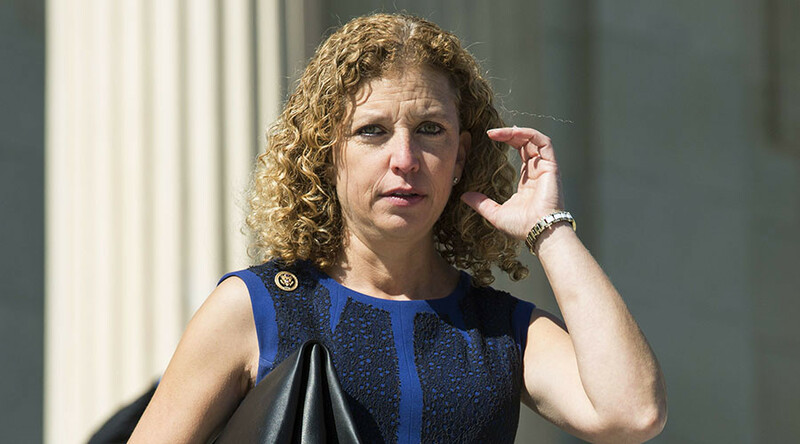 The leaks led to resignations of several top Democratic Party officials, including DNC Chair Debbie Wasserman Schultz, lending credence to Guccifer 2.0 claims. The Democrats have blamed the hacks on Russia, but Guccifer 2.0 denied having any ties with the Russian government or Russia, though he admits being of Eastern European extraction.